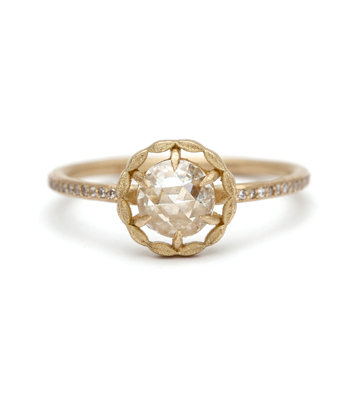 A unique and understated design inspired by a vintage romantic style. 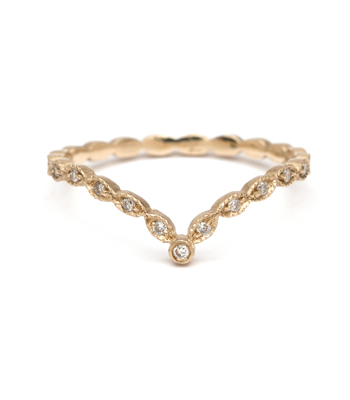 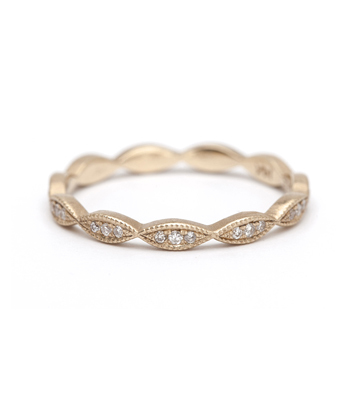 This 18K matte yellow gold round wire band is graced with a 0.80ct rose cut diamond center and surrounded with twelve tiny diamond-set leaves, 0.04ctw, blackened for an antique touch. 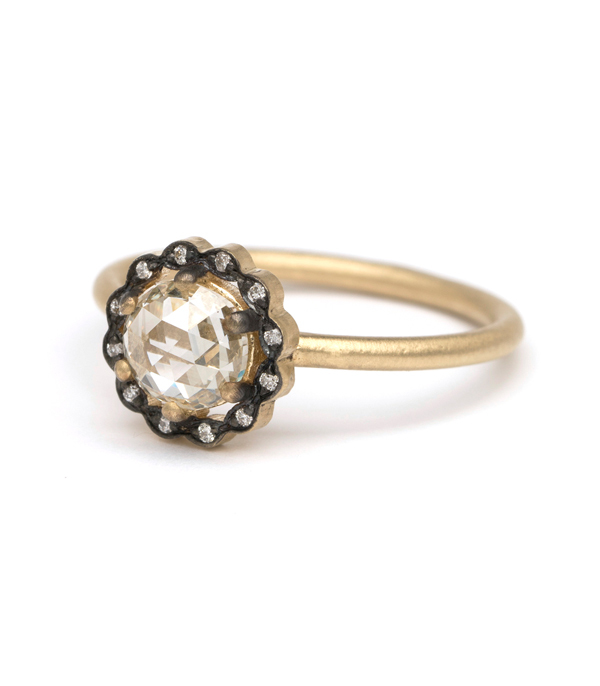 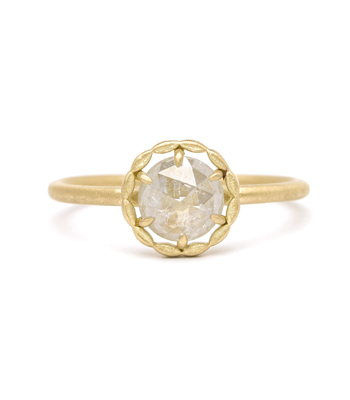 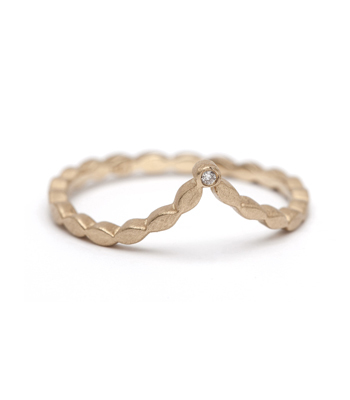 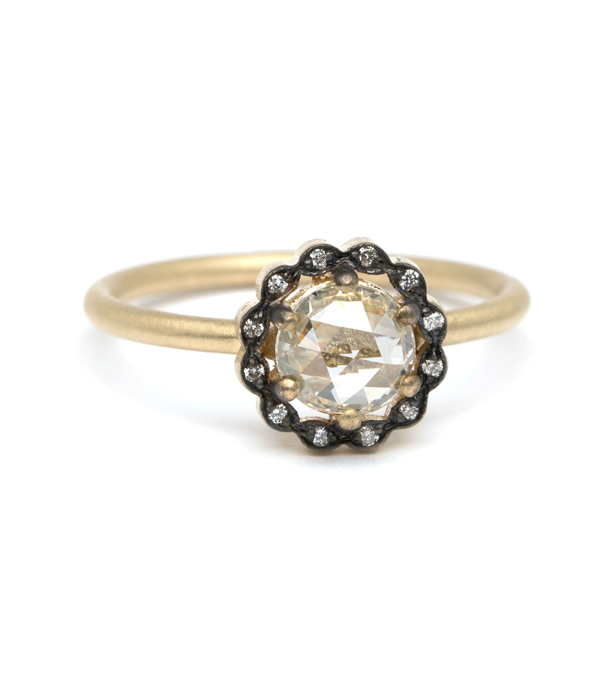 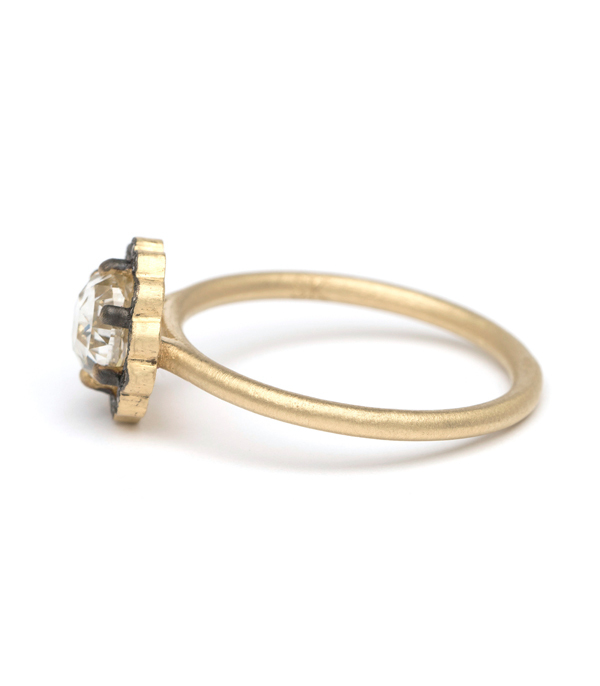 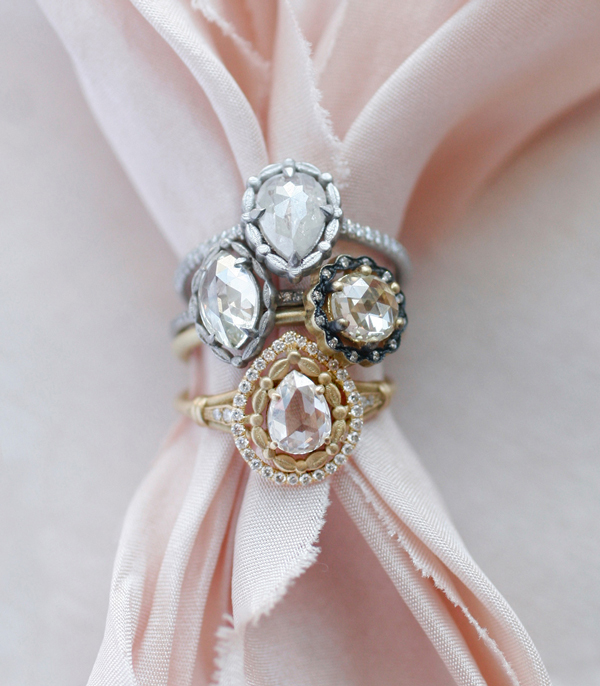 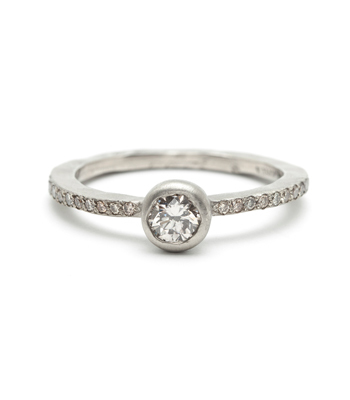 We love the low set profile of this ring and the fact that it is ever so stackable.